The third installment of ‘Love You Down’ returns to Los Angeles for another celebration of the LA community. The music and art show will take place at The Echoplex on Thursday, February 7th. Indie-rock band Warpaint will headline the event and will receive support from SWIMM, TT, Beef, Jennylee, deafmute + Emily Kokal, Gardens & Villa, Goldensuns, Rugby Wild, Facial, Oozelles, Jake & Abe, Spring Summer, Devendra Banhart (DJ Set), The Entire Universe (DJ Set), DJ Justin Cornwall, Sego (DJ Set), and David Orlando (DJ Set). Tickets for the event are currently priced at $35 and will be $40 if purchased the day of. The event will begin at 6:00 PM and is for those that are 18 years old or older. 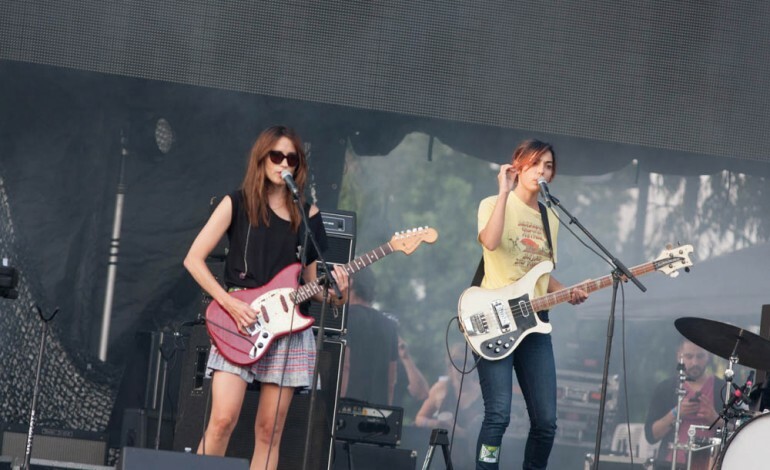 Warpaint is an “art rock” band that currently consists of Emily Kokal (vocals, guitar), Theresa Wayman (guitar, vocals) and Jenny Lee Lindberg (bass, vocals), and Stella Mozgawa (drums). The group was founded in 2004 and are celebrating their 15 year anniversary at this exciting event. Warpaint has a very intricate sound that implements harmonics and psychedelic rock. Their record from 2016 entitled Heads Up received numerous favorable reviews and ranked number 39 on Top 50 Albums of 2016 for American Songwriter. The band is an unstoppable force that encapsulates LA’s artistic community. Every year ‘Love You Down’ is always full of nonstop fun. Warpaint will not only have a special performance but will showcase their side projects as well. Theresa Wayman will perform as TT, Jenny Lee Lindberg as Jennylee, Stella Mozgawa with Boom Hip as Beef, and Emily Kokal as Deaf Mute. Hit the link below to catch Warpaint perform at this year’s edition of the event.